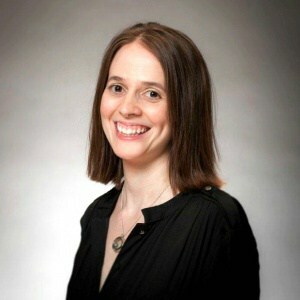 So as the kids grow, the level of game difficulty may change. But the joy that fun games for kids brings never leaves. No matter how old you get! Fun Games For Kids By Pressman Toy Co.
Once company that we’ve turned to time and time again is Pressman Toy Company. 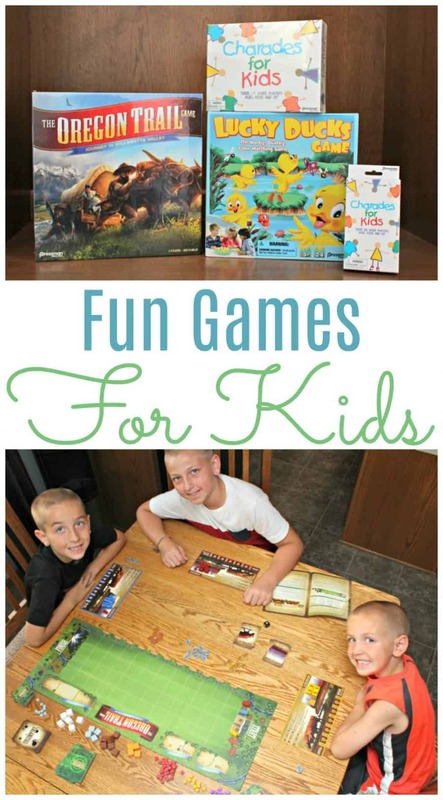 Their selection of fun games for kids is pretty great. It seems as if they have something for everyone of all ages! Young child-teen/adult. Some of our recent favorites are below. Raise your hand if you grew up heading to the computer lab to play Oregon Trail! (ME!) Seriously my favorite computer game as a kids, right next to Number Munchers and Where In The World Is Carmen Sandiego. So when I saw this new The Oregon Trail Game: Journey To Willamette Valley, I was super excited. Head back to the year of 1848. Because it’s time to take the family and join a wagon train from Independence, MO to Willamette Valley. 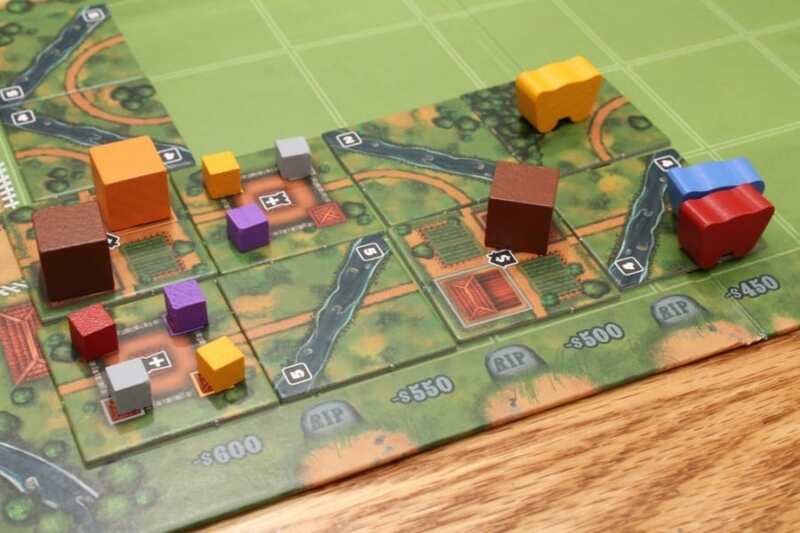 On the trek through this new territory, players will encounter trails, rivers, forts, and towns. Sadly, you will also encounter disease, starvation, drowning, rattlesnakes, and more. As you plan and prepare with limited space, players need to weigh the pros and cons of who they travel with, supplies, and more. This game is geared for ages 14 and up but, like I said. We are big game players. And we include our younger kids in harder games all the time. So our 6, 8, and 11 year old were all able to play after watching the instruction video. And they had a blast! Seriously fun. It’s time to relive the fond memories from one of the world’s most loved computer games as you race your friends in this suspenseful game: The Oregon Trail: Journey To Willamette Valley. 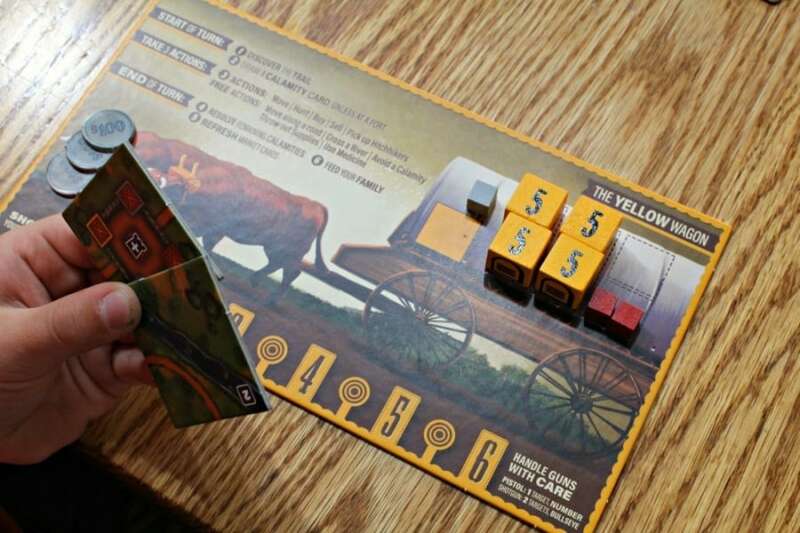 Check out this video to learn how to play and then head to Target, where The Oregon Trail: Journey To Willamette Valley is exclusively sold! 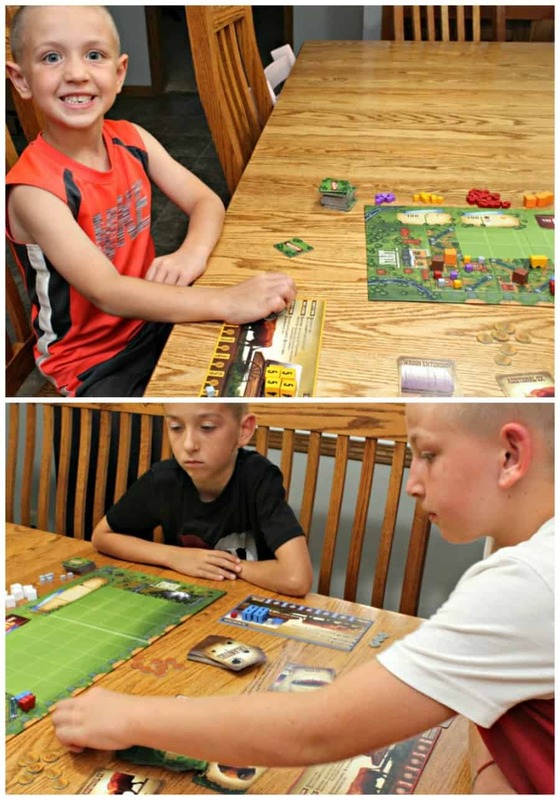 This matching and memory game is delivered in an easy to play format. 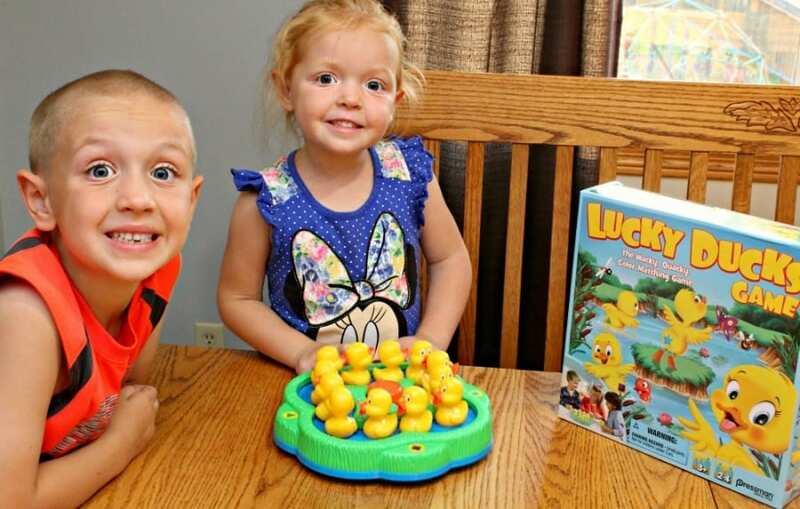 Instead of typical cards, kids grab ducks to look for their matches. When you’re ready to play, turn the pond on. The ducks will start to quack and rotate as players take turns choosing a duck. If the color and shape on the bottom matches theirs, they keep the duck. If not, the duck must be returned back to the pond. The first player to collect and match all three of their ducks, wins! Now the classic game of charades has been re-designed for the younger crowd through Charades For Kids! Children ages four and up (but outgoing younger kids may do well too), get to enjoy this interactive game. With three levels of clues, you can adjust for each age group. And the best part is that each card also contains a picture so no reading is required! Yet, the combination of verbiage with a picture is great for reinforcing the learning of early reading skills. The younger kids get the chance to act out things like a toothbrush, jumping, or cat. While the older kids can read the simple words and phrases and then act out eating spaghetti or playing the guitar. Truly fun for the entire family, Charades For Kids is a great addition to family game night. Everyone will be laughing and having fun while great memories are made. Would be especially fun for small birthday party gathering. 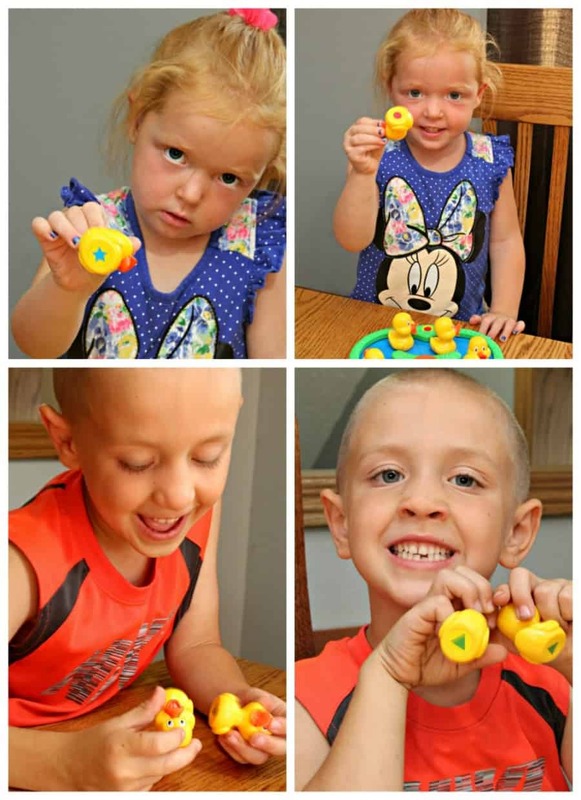 Head on over to Pressman Toy Company’s website to learn more about all their fun games for kids and families. Make sure to like them on Facebook, follow on Twitter and Instagram, and subscribe to their You Tube Channel for all the latest news, sales, and specials. 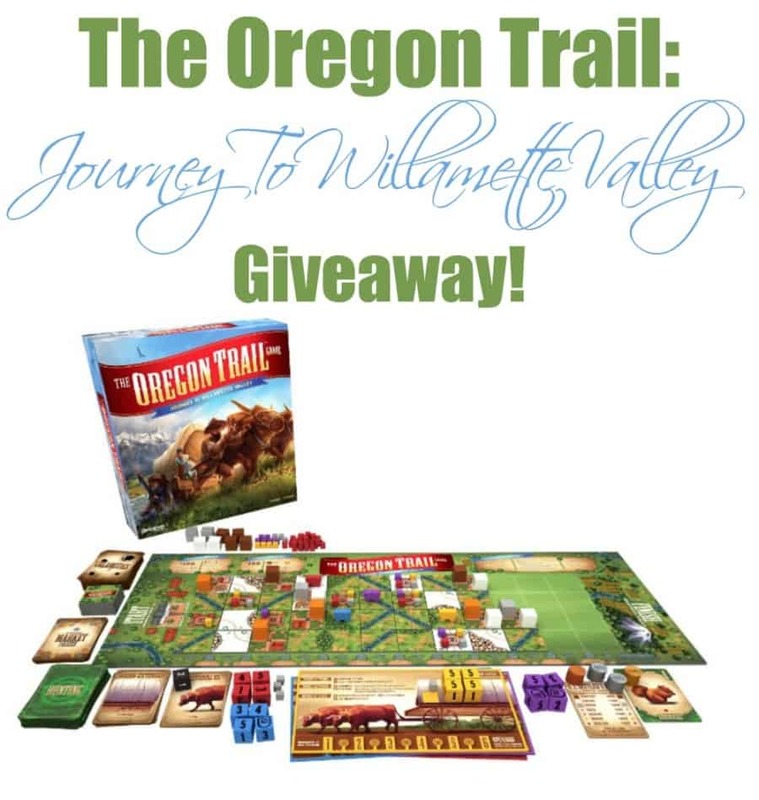 I’m super excited to share that Pressman Toy Company is giving one of our lucky winners their very own copy of The Oregon Trail: Journey To Willamette Valley Games! This giveaway is open to the US & Canada. Just enter the widget below for your chance. Good luck! I also like the Bean Bag Toss game. My three year old would love Don’t Drop the Meat Balls and my eight year old would adore Gnip Gnop. Going to look into both for Christmas!!! I also like their Battling Bones game and the Bean Bag Toss game. Family Classics Chess is a game I’d like to try. The pieces look big and there’s a folding board for this game I played ever since my teens. Backgammon – I’ve always wanted to learn how to play that! 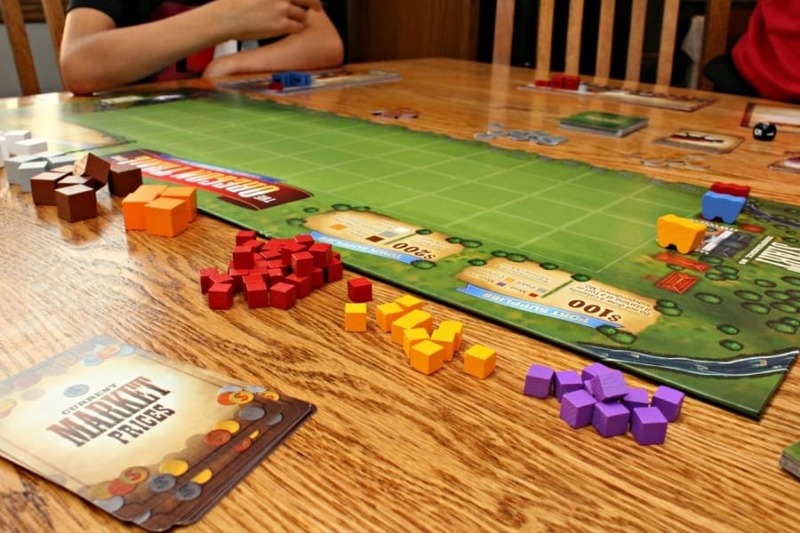 Don’t drop the meatballs looks like a fun family game. Don’t Say It looks fun. My granddaughters would like The Chicken or The Egg game. My family would love to play the Battling Tops game. I would also love to get Shark Bite for my kids! This definitely looks like a really fun game that they would all enjoy.